The Sydney-based company shares its owner with two other finance firms. 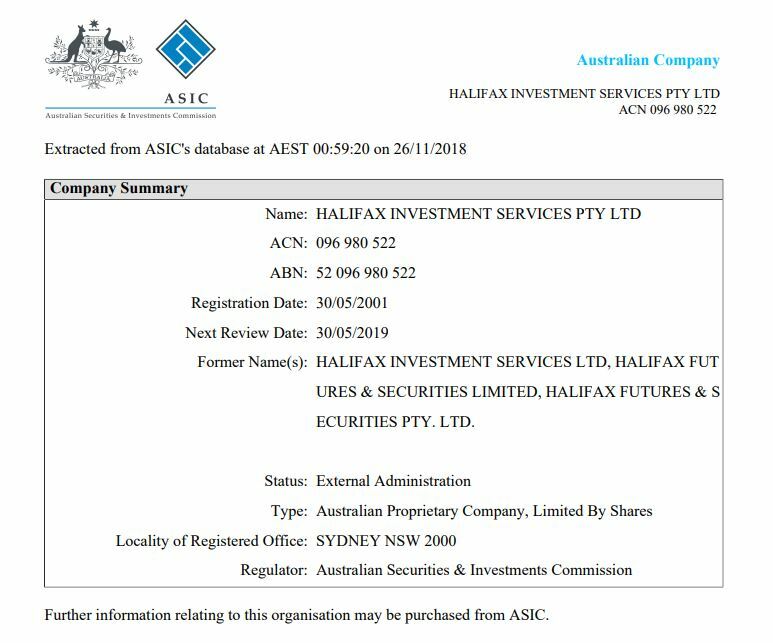 According to a source with knowledge of the matter, Halifax Investment Services, an Australian investment management company, has gone into administration. Finance Magnates phoned the offered number and received no reply. We have sent an email requesting comment, but no reply was forthcoming as of press time. According to Ferrier Hodgson, a “dependent financial advisory and restructuring provider”, administrators were appointed to Halifax Investment Services on the 23rd of November. These administrators are named as Morgan Kelly, Stewart McCallum, and Phil Quinlan, all partners of said firm. Sydney-based Halifax Investment Services is a subsidiary of Lloyds Banking Group. Its CEO is one Andrew Baxter. According to his LinkedIn profile, Baxter is also the CEO of two other entities – Australian Investment Education, which offers trading courses, and Grange Capital Management, a “Boutique Investment Manager” which doesn’t appear to have a website. 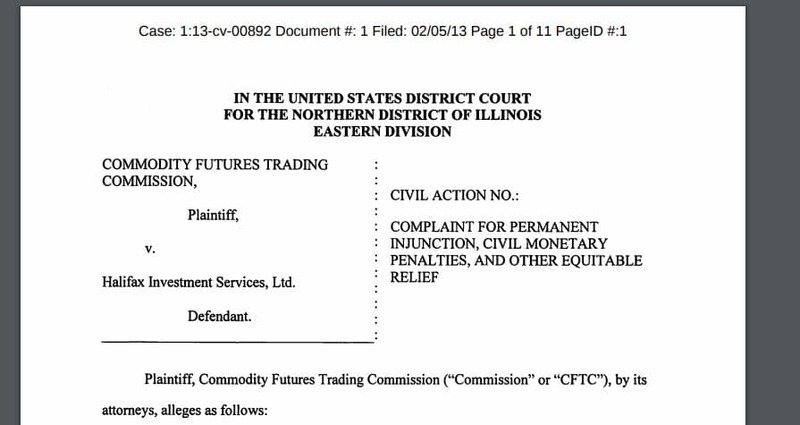 In 2013, the American Commodity Futures Trading Commission sued Halifax for illegally soliciting people in the US. The company removed the US as an option on the site shortly afterwards. Another Stockbroker gone under, they are dropping faster than Aussie Prime Minsters. They haven’t even put the Directors from the last Stockbroker (BBY) in jail yet, and they only swiped $23.6 million. In Australia you have quite a choice on who will steal your money, there is the Banks or the Stockbrokers. And it has also been said they traded insolvent for 4 years as well, and they still walk free. Why isn’t mainstream Aussie media not talking about Halifax. A lot of people are going to lose a lot of money again. Looks to me that the media is controlled. I will never invest through a Aussie company again. Here is just a few that have gone under: BBY, Kinetic Securities, Opus Prime, Sonray, Halifax plus more. The Corporate needs to be put down. I’m a client of Halifax NZ. After doing due-dillergence for several months and asking all the correct questions. Company Structure, Do they Prop trade clients funds and getting all the correct answers I now find out it was all BS. Do what the Politicians do, set up Offshore Trusts and don’t deal through any Australian company. Even the regulated will be fooled. Most people have no idea what to look for when investigating a prop firm. The CEO is Andrew Baxter. I would like to know what his relationship with Jeffery Warboys is? He is also listed as CEO at Australian Mutual Holding Limited & Halifax Investment Services Pty Ltd. Are these two people responsible for Halifax going into administration? Lets say a broker commited fraud by pilfering client funds, yes that is fraud. But why is it not fraud if an administrator takes over the brokerage and decides not to pay out client funds in full???? SOmehow that is legal, yes legalised fraud. So I invest for the long term and then broker goes bust messing with my retirement and the great part of the deal is that he is not accountable. Therefore so much for “the long term” – usual sales pitch of brokers. What a scam this entire industry really is. Sydney-based Halifax Investment Services is NOT a subsidiary of Lloyds Banking Group. You are getting mixed up with Halifax Bank (part of Bank of Scotland, owned by Lloyds BG PLC). The local Halifax is a bucket shop that everyone is amazed they can pay their office rent on level 49 of one of Sydney’s most expensive office buildings.